Are you looking for something fun and spooky to do with the family this Halloween? 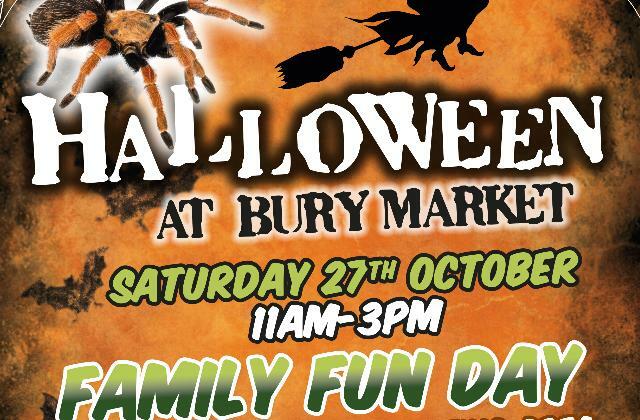 Come to Halloween at Bury Market! From 11am till 3am on Saturday 27 October we have a family fun day! There will be an exotic pet and reptile petting area, only for those brave enough to pet them! Be make sure to watch out for the stilt walking witch roaming around the Market! Get in the Halloween mood with our face painter, who will be creating scary little monsters all throughout the day! Also make sure to check out our Halloween craft making area to make some cool and frightening designs! Contact us at 0161 253 6520 for information or any queries you may have. Be sure to visit this Halloween!